From its first moments, In Transit — the late documentarian Albert Maysles’s final film, completed with help from Lynn True, Nelson Walker III, David Usui, and Benjamin Wu and released after he died in March 2015 — is fixated on and shaped by lives in transition. Amtrak’s Empire Builder train regularly embarks on three-day jaunts between Chicago and points in the Pacific Northwest, and the film joins passengers on one of these journeys. While a bit of a ticking clock element is introduced with a young, pregnant passenger days away from her due date, no plot contrivances drive the narrative aside from the locomotive reaching its final destination. 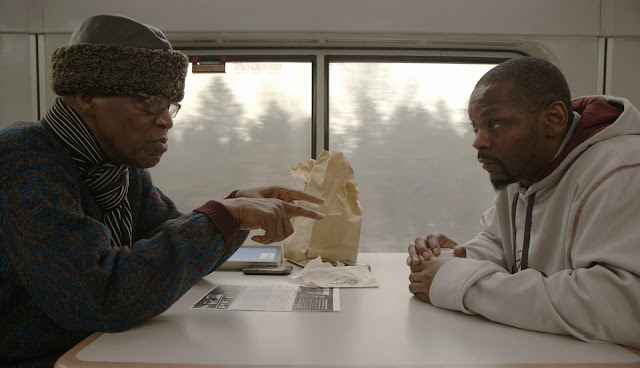 In Transit by Albert Maysles is screening at the Maysles Documentary Center (343 Lenox Avenue, Harlem) and Metrograph (7 Ludlow Street, Chinatown) through June 29.